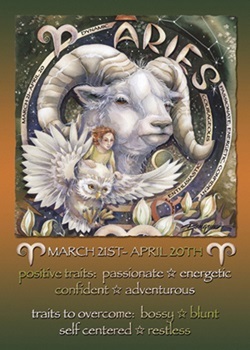 Aries Astrology - Characteristics, Personality, Horoscopes, and more. Fire Element triple strand stretch bracelets. Comes beautifully gift boxed with a note card detailing the Zodiac sign. Fire Agate Gemstones: A protective gemstone used to relieve fear & create courage, protection & strength. Crime Signs - Aries is #1! The Mars (Aries) talisman is made to give the wearer the power to act, even if he is restrained and held back by the people around him/her. 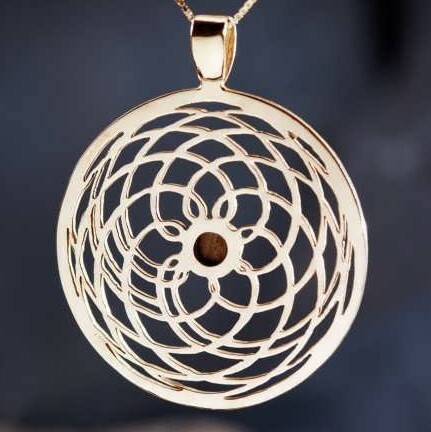 The talisman was designed to help provide the wearer assertiveness, vitality and dynamic physical energy. Note: Dr. Turi grew up in Provence France, Nostradamus' birthplace. He uses the Nostradamus method of prediction which includes attributing only one sign for each month of the year, i.e., Aries for April. All will hear my views and voice - Trial and error is my school of choice. Like a dragon, dashing and daring I appear Fighting for those that I hold dear. I am ARIES, child of Mars. 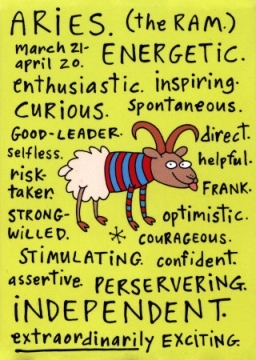 Assertive Mars controls the month of April. In Greek Mythology, this planet is called "The Lord of War," and rules the impatient sign of Aries. You were born a leader, however, because of your inborn impatience you may also learn by making a few mistakes. Your strong and impatient desire to succeed must be controlled and hasty decisions avoided. Others perceive you as a competitive and motivated child-like person. More than any other sign of the zodiac, souls born in April must learn steadiness, organization, and most of all, diplomacy. When confronted, grace and charm does not really belong to you. Martian souls possess strong leadership and engineering abilities and April men are attracted to dangerous sports, speed, engineering, and the military. Due to your "turbo charged" personality, you are also accident-prone to the head and should protect it at all times. Both male and females born in April tend to talk too much and must learn to listen to others and control impatience. You must focus on your needs steadily and finish what you have started. Inadvertently, the "red" uncontrolled Martian personality will hurt sensitive souls; thus damaging the chances for respect and promotion. Your explosive temper is generated by an inborn fear of rejection and an inner inferiority complex. Do not take rejection or opposition personally. The "childlike" attitude could attract manipulative spirits wishing to structure or use the immense creativity and energy of the Mars competitive spirit. You do love your home and you are responsible with your family. Nevertheless you prefer to be where the action is, as you get bored easily. If you practice patience, tolerance and diplomacy, there is no limit to where Mars will take you and this is all the way to the highest level of accomplishment. Your main lesson is to learn all the diplomatic and loving traits of the opposite Venus-ruled sign Libra. Some young April souls are totally consumed with themselves and will not share possessions or the light of the stage with others. Once you find yourself and your confidence, the option to become a leader in any chosen field will be given to you. Souls born in the month of April must assume a diplomatic attitude when dealing with others and reward those who have been helpful. Word of caution; dealing with any Aries soul demands that others should be aware of their natural drive to control all corporate financial avenues because of their subconscious drive and fear of power i.e., Bernie Madoff and Conspiracy champion author, David Icke (note both souls were born April 29 or 9 days after Adolf Hitler also born in April). The location of your natal Dragon's Head or Tail will seriously alter the strengths or weaknesses of Mars in your chart.